Charlotte A. Dougherty, CFP®, is a nationally-recognized wealth manager with more than 30 years of experience, committed to helping clients grow and protect their money through sound financial planning and wealth management. Achieving financial security is an ongoing journey that requires more than simply managing client investments. Charlotte set her firm’s mission to partner with clients for life, serving as partners, advocates and advisors during all phases of each client’s financial journey. Her process begins with identifying what is important by quantifying and prioritizing clients’ goals. She works with her team to create a customized plan through extensive analysis and design, based on each client’s unique circumstances and future goals. She works with her clients to implement the plan, make adjustments, change the course when necessary, and to address all the events that life brings. Charlotte is focused on helping people feel good about their financial positions in life. She’s educated clients’ children, helped launch new careers and businesses, planned for parents, children and grandchildren, helped clients provide for family vacations, helped families cope with loss of a loved one and protected family wealth. Charlotte was honored to be included in the Winner's Circle of Barron’s Top Women Advisors Summit, an exclusive, invitation-only event for the opinion leaders and influentials of the financial industry, honors the top women advisors in the country. She is a frequent speaker and conducts workshops for employees of large and small corporations on retirement planning issues. Having earned a CERTIFIED FINANCIAL PLANNER™ practitioner certification, Charlotte is a past president of the Cincinnati Chapter of the International Association for Financial Planning, which is now the Financial Planning Association. She is listed in Who's Who in Finance and Industry, and Who's Who in America and a former Cincinnati Enquirer "Money Panel" Expert. She is an active member of the Cincinnati Estate Planning Council. She is a current member and was a chairman of the Investment Committee of the Board of Directors of The Resource Group, an elite group of leading financial planners within Lincoln Financial Advisors. She is a former member of the Board of Trustees of the St. Luke Hospital Community Foundation and past chair of the Finance Committee. Charlotte is listed as a Five Star Wealth Manager by Cincinnati Magazine* and received the Women’s Choice Award** every year since 2014. She also received the Top of Council Qualification*** from Lincoln Financial Advisors. Charlotte is a financial planner offering securities and financial planning services through Lincoln Financial Advisors, a broker-dealer and registered investment advisor. *** The Top of Council award is an internal recognition determined by annual sales amounts. 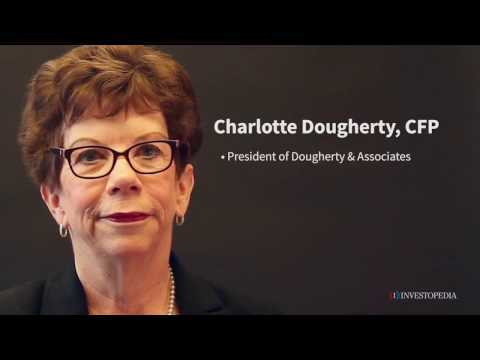 Charlotte Dougherty is a registered representative of Lincoln Financial Advisors. The IRS offers several ways to skirt the 10% penalty on early retirement distributions. Here's what you need to know. Is it bad to retire early? Here are eight good reasons to put off your retirement date. Why Save for Retirement in Your 20s? You're probably paying off your student loans and retirement is 40 years away. Shouldn't you focus on eliminating debt and, maybe, saving for a home? The taxes you owe on your 401(k) at retirement depend on whether your funds are in a regular 401(k) or the Roth type. Everything you need to know about setting up and managing what is often the chief source of your retirement funds. Is it true that you can sell your home and not pay capital gains tax? Yes, under certain circumstances it is true that you can sell your home and not incur capital gains tax. You must meet 2 tests, in general, to avoid capital gains of up to $250,000 on your primary residence or up to $500,000 if you file jointly. You must have owned and used your home for 2 of the 5 years prior to its sale. See this excerpt from the IRS website: “In general, to qualify for the exclusion, you must meet both the ownership test and the use test. You are eligible for the Section 121 exclusion if you have owned and used your home as your main home for a period aggregating at least two years out of the five years prior to its date of sale. You can meet the ownership and use tests during different 2-year periods. However, you must meet both tests during the 5-year period ending on the date of the sale. Generally, you are not eligible for the exclusion if you excluded the gain from the sale of another home during the two-year period prior to the sale of your home. Refer to Publication 523 for the complete eligibility requirements, limitations on the exclusion amount, and exceptions to the two-year rule.” And please be sure to check this link for full details: https://www.irs.gov/taxtopics/tc701.html. You can start by opening up a brokerage account at a firm that offers individual brokerage accounts with lower costs for executing transactions. But first you may want to carefully think about your goals for the money you are investing, consider the time and the knowledge that is required to invest prudently as well as profitably net after taxes. You will want to understand the fundamentals of investing and how to evaluate the financial profile and performance of companies you wish to own. The question of when to take your Social Security benefits is a very important one. While the calculation of the break even age can be completed using several online calculators, including the Social Security website itself, this is but one factor to review when making a decision as to when to initiate benefits. You can create an account on the Social Security website and get an estimate of your benefit by clicking on this link: https://www.ssa.gov/retire/estimator.html?gclid=CPzzmN3npc4CFUMkgQodf5UCnQ. There is a calculator you can use to determine your break even age using the data you retrieve when you create your own Social Security account and there are also “what if” options you can review. Prevailing thinking today is that it makes a great deal of sense to delay beginning Social Security benefits, with the idea of increasing the longevity protection you may receive from them at higher benefit levels. With today’s longer life expectancies, Social Security that is maximized can help people continue to manage expenses at retirement. Too often in the past benefits were initiated early such as at age 62, with the result that the monthly benefit was permanently reduced by 25%. This is a lifetime income reduction that amounts to thousands of dollars over time. If you can delay even beyond full retirement age then you can earn delayed credits of 8% per year. Delayed credits greatly enhance the lifetime value of this stable income for you or for a surviving spouse. Consider factors such as family history, current health status and the fact that people are living much longer today. Also consider spousal and survivor benefits and how these might be affected. Do you need the income now or can you wait? These are all questions to consider as thoughtfully as possible and with accurate data. Is an index fund better than having to hire a financial advisor? An index fund, particularly an S&P 500 index fund can be an easy way to begin an investment program. However, this does not replace the value that a financial advisor may provide to you through education and personalized planning. An advisor can help you understand and evaluate your tolerance for risk, appreciate the characteristics of various investment options and their historical behavior over various market cycles and holding periods and also help you determine your investable cash flow. Working with an advisor over time can lead to long term success in utilizing some important principles of investing such as dollar cost averaging, net after tax return and compounding of returns. You might gain a better understanding of the benefits of asset allocation as well as customize your holdings for various investment objectives and time frames. How can I optimize on my post-graduate financial situation? The decision on whether to buy or rent involves consideration of variables such as whether your current employment is secure? Are you likely to relocate making the sale of a tangible asset such as real estate a more complex consideration? Can you obtain financing that is favorable? Is the housing market there over bought and are prices high relative to historical valuations? It seems as though you feel the timing may be appropriate to purchase versus buy and that rents are rising. You are also wise to not think of residential real estate as an investment. One can be lucky with residential real estate but, in most instances, it is best to think of this as a quality of life decision with some possible and increasingly less significant tax advantages. You could borrow from the 403b (check with your plan administrator for options) for the down payment and also liquidate low yielding savings. It is best to try to build up liquid reserves for the down payment, of course. Consider the condo fees and any potential assessments that may be down the road. Housing is expensive when you factor in utilities, furnishings, maintenance, taxes and the house payment. Be smart about staying within a budget you can easily afford given your income.